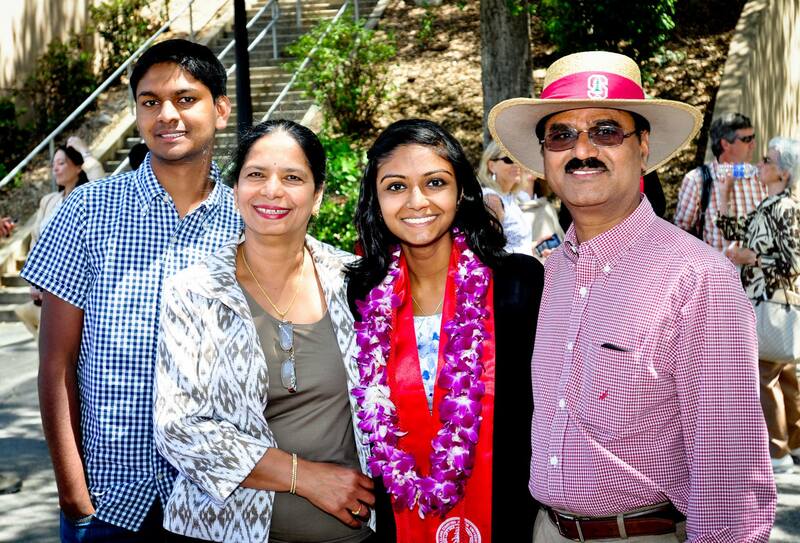 The next entry in OneDublin.org’s Life After College Series catches up with Dublin High School’s Class of 2010 Valedictorian Ravali Reddy who recently completed a Stanford University journey where she graduated with the Class of 2014 as a Communications major minoring in Biology and Pre-med. 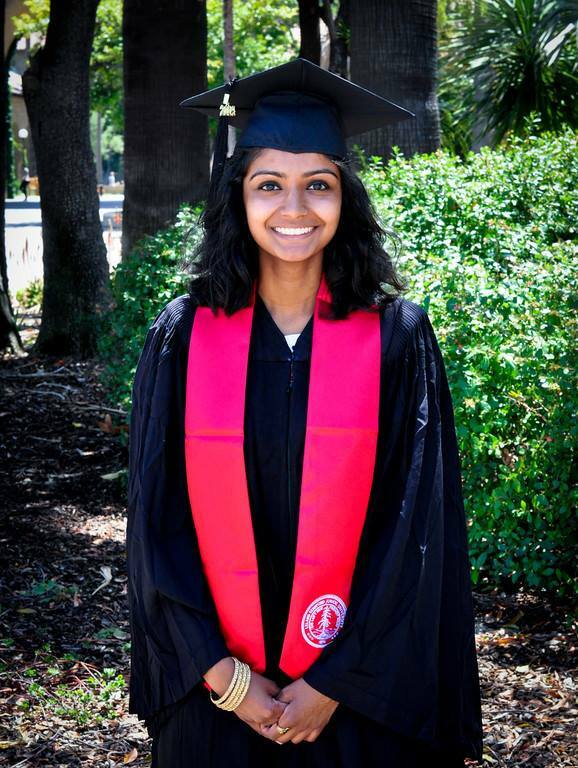 Ms. Reddy wrote about her first semester at Stanford back in November 2010 as one of the first Life in College Series contributors. For students wondering if they can survive and thrive at Stanford, enjoy a life outside of the classroom, and still graduate in four years, read on. OneDublin.org: With all the stories of students struggling to complete a degree on time, what was your path to completing your undergraduate degree in four years? Ravali Reddy: “I was fortunate going to a private school like Stanford University because the graduation rate is incredibly high. 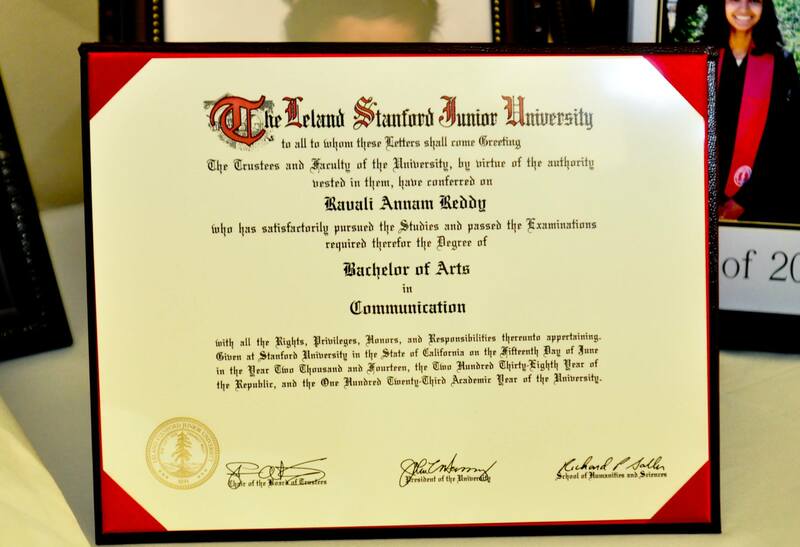 For most people that end up staying a fifth year at Stanford it’s usually because they are double majoring, or they are athletes that red shirted their freshman year to retain four years of eligibility. Another popular option at Stanford is a co-terminal masters degree which is when you apply to a masters degree while you are still an undergrad, and if you are accepted then in your senior year you can start your masters while you are still an undergrad and finish your masters in one more year. OneDublin.org: What role did advisors play? OneDublin.org; Talk about your mix of Communications, Biology and Pre-med which on the surface seems like an unusual combination. Reddy: “I’ve always had a fascination with medicine. I thought it was a really interesting career and really liked that I could interact with people on a very personal basis. Medical problems bring into play physical and emotional wellbeing. When I was in high school I also read a lot, including literature and books by doctors and popular medical writers like Atul Gawande who writes for The New Yorker and Dr. Sanjay Gupta who contributes to CNN. I thought all of their work was fascinating. “After arriving at Stanford I took my time because students don’t declare a major until the end of their sophomore year. I looked at a bunch of different majors – biology, bio-engineering, human biology, and knew I ultimately wanted to go to medical school. While I knew I would be studying biology and medicine in the future, I saw Stanford as my opportunity to study something else, in an environment where I have so many opportunities and resources. Knowing what I wanted to do in grad school really helped me make choices in undergrad. “When I started exploring other options, I was drawn to smaller departments. Human Biology is a great major at Stanford, it’s a really interesting and unique program that let’s you bring together the humanities and biology, but it’s also a very large and popular program, one of the most popular majors on campus. I ended up taking a lot of biology classes but also studied journalism and really enjoyed those classes. My decision to major in Communications was driven in part by one of the journalism professors. OneDublin.org: Based on your experience it sounds like there are many paths to medical school, similar to how many undergraduate degrees can lead to law school. OneDublin.org: Stanford, outside looking in, can be intimidating – the top ranked school in the country, type-A students, very competitive; what’s the reality based on your experience? Reddy: “I think Stanford is very unique and it’s easy to group schools like Stanford and Harvard together into one category when in fact they’re very different. I was very scared when I first entered Stanford that it would be competitive and cutthroat, having heard rumors that students weren’t nice to each other and wouldn’t share notes if you were sick, but that’s something I never came across. I found Stanford to be a very collaborative environment. “I think there’s a sense that once you are accepted into Stanford there’s no need to compete against each other anymore. A sense that we can all succeed together that is reinforced by professors. There are a lot of group projects, including classes where you wouldn’t expect a group project requirement. You are rarely working in a lab without a partner, meaning you have to work together to successfully complete a course. OneDublin.org: Talk a bit about how internships played a role in your Stanford experience. Reddy: “I had an internship every summer. 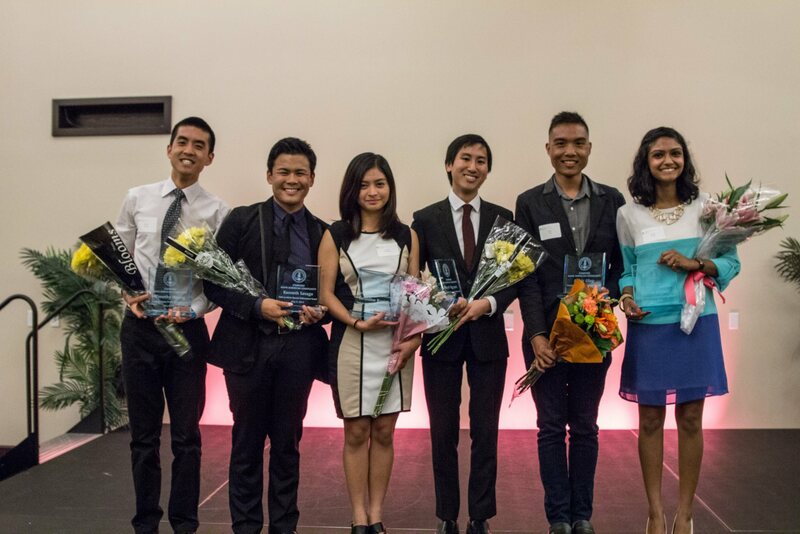 The biggest thing internships did for me was helping me figure out what I didn’t want to do. I alway assumed that I would work an internship, fall in love with the job and know what I wanted to do; my experience was the opposite. While I enjoyed my internships, met a lot of great people and learned a lot, I was able to think about where I wanted to be 10-15 years down the road. “The summer after my freshman year I worked in a cancer immunotherapy lab at the Palo Alto Veteran Affairs Hospital, doing wet lab research. I worked with cells and mice all day, and learned a ton, but also discovered that wasn’t the kind of work I wanted to do after college. I’m a very outgoing person and like being around people which isn’t necessarily compatible with being in a lab all day. OneDublin.org: Describe your Stanford experience outside of the classroom. OneDublin.org: One final question, what did it feel like to walk across the stage as a Stanford University graduate? Reddy: “It was a surreal experience and I was overwhelmingly happy. A lot of my family were in town because my little brother graduated from Dublin High School just a few days before I graduated from Stanford. 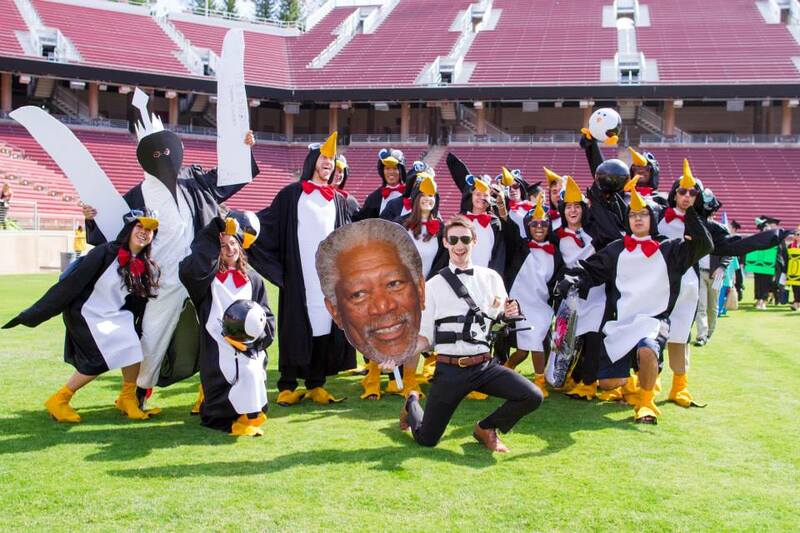 “Stanford has a unique tradition where graduates dress up in costumes for a ‘Wacky Walk’ before you change into traditional clothing for the commencement ceremony. A large group of us decided on March of the Penguins as our theme, all dressed as penguins in the morning before we changed into caps and gowns. Congratulations to all Dublin High School alum who have enjoyed a college graduation this year! If you’d like to be profiled contact us at onedublin@comcast.net.